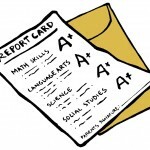 Why Does One-on-One Tutoring Help Improve Grades? Any teacher, parent or educator will tell you that a student learns more effectively in a one-on-one setting than in a classroom. The investment a parent makes in their child’s education can have a lasting impact on the success their child has well beyond their years in school. 1) Your child gets one-on-one attention. Oftentimes students go unnoticed in a large classroom setting; the unfortunate reality is that teachers are unable to devote one-on-one time to each one of their students. Therefore, many students that need that extra help don’t get the opportunity to work individually with their teachers. Because students get this individual time with their tutors, the tutors are better able to assess their strengths and weaknesses and to help provide them with the appropriate tools to improve their grades. 2) Tutoring helps to build your child’s self-esteem. Your child learns how great it feels to be able to understand and learn the classroom material. Once your child begins to learn the material, their enthusiasm for learning will grow and they will eventually be able to use the tools they’ve acquired in their tutoring sessions, and work independently. There is truly nothing more rewarding as a tutor, than seeing your student’s face light up with pride and excitement as he or she finally “gets it”. 3) Tutors are able to offer different ways of teaching. We are all well aware that not every child learns with the same teaching techniques; therefore, tutors are able to assess what works for their students and to modify the lessons to suit their student’s individual needs. Tutors are also able to provide less conventional, and perhaps more amusing, ways of teaching to help their students learn the material, like games for example. All in all there are many more reasons why one-on-one tutoring helps improve grades and provide your children with the necessary tools to succeed academically.